Cowboy and his son on a walk. 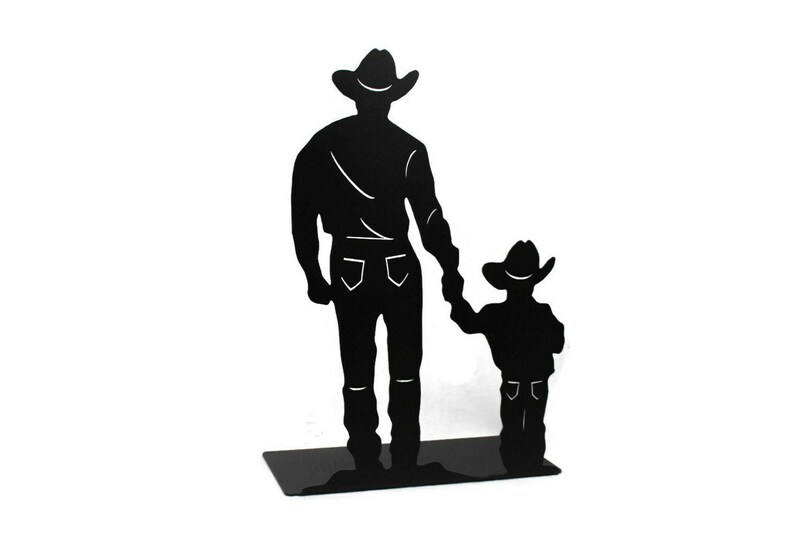 Metal western silhouette is cut from thick steel. 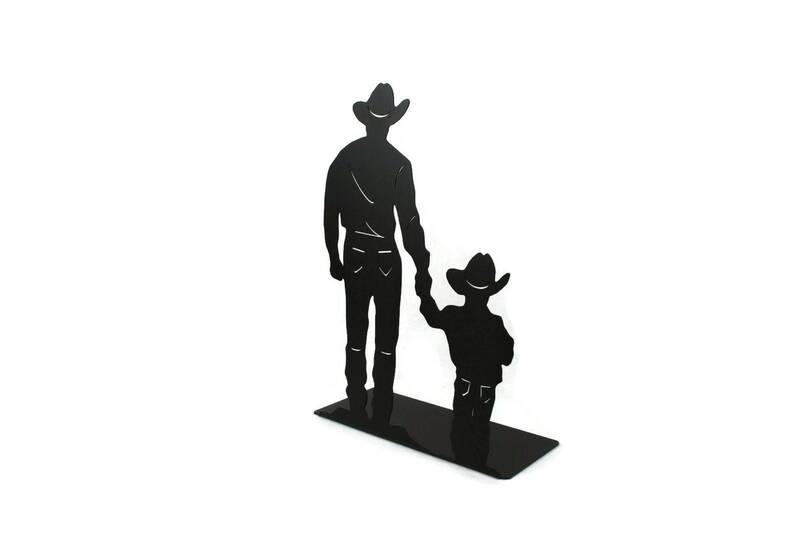 It stands on its own, so you can display on a shelf, hall table, or even your mantle. Heavy duty! Much better quality than the flimsy tin signs you'll find at the hobby store! 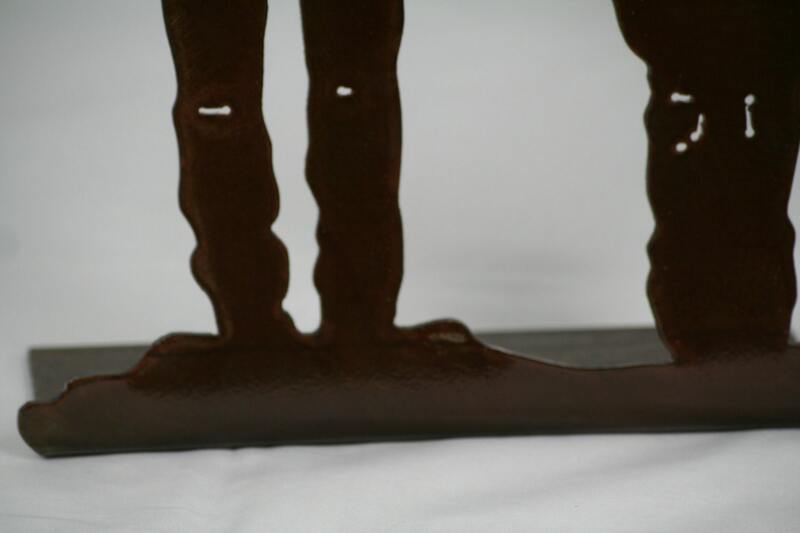 Sign is 15" tall and coated in your choice of color. 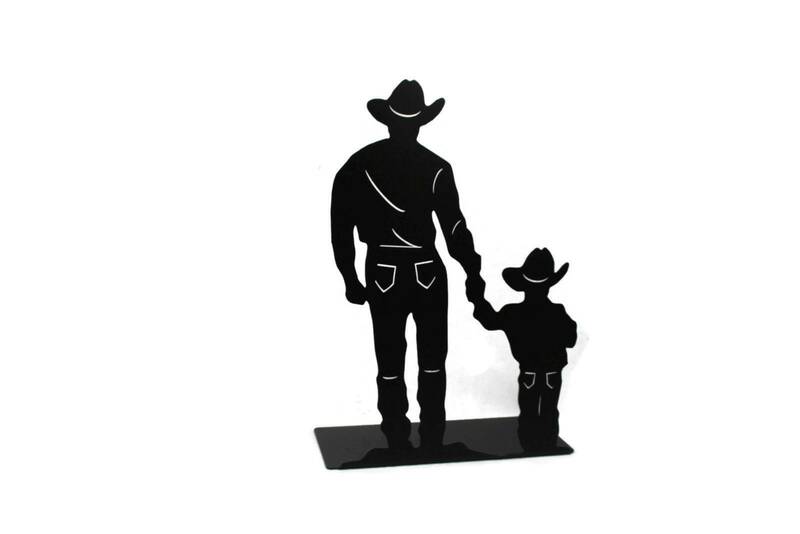 We hope you'll love our western art pieces as much as we love creating them! Beautiful piece. Exactly as pictured. Thank you for sharing your time and talents. Wrapped with care, well made. 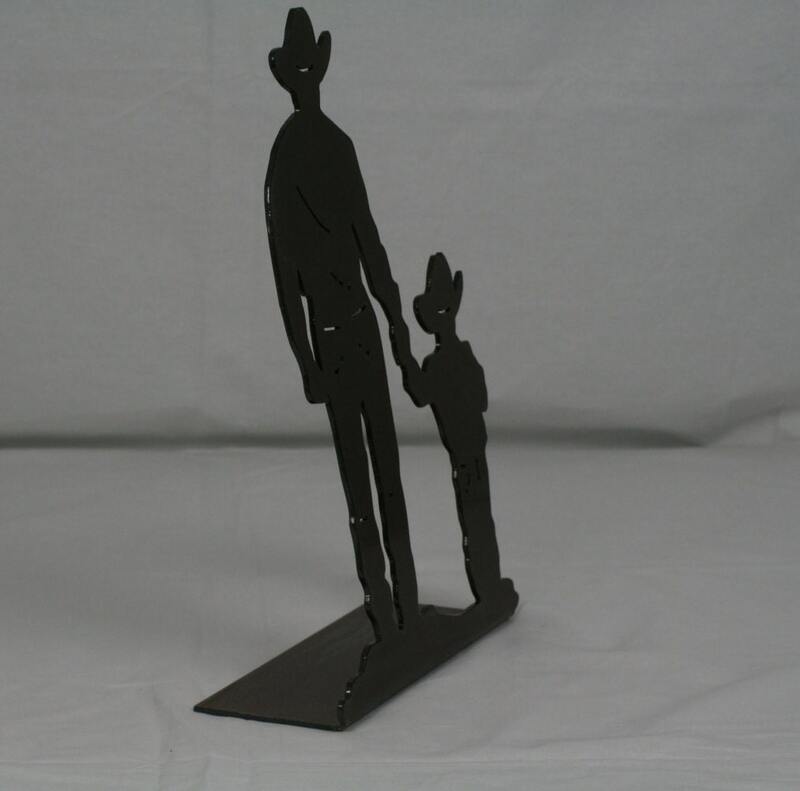 Can't wait to give it as a gift for Father's Day.